In 2009, in the NSW country town of Armidale, a mentally ill young man is shot dead by a police officer. Senior Constable Andrew Rich claims he ‘had no choice’ other than to shoot 24-year-old Elijah Holcombe - Elijah had run at him roaring with a knife, he tells police. Some witnesses to the shooting say otherwise, though, and this act of aggression doesn't fit with the sweet, sensitive, but troubled young man that Elijah's family and friends knew him to be. The shooting devastates Elijah's family and the police officer alike. This factual investigation of the shooting of Elijah Holcomb Is written with the deepest respect & compassion for all involved. Along the way Kate Wild lays bare her own soul to share the intense vulnerability. 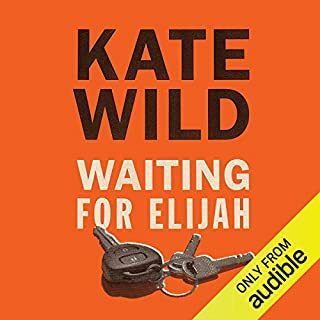 Narrated brilliantly by the author Waiting for Elijah is possibly going to be my book of 2019. This book reminds me of My Absolute Darling I’m so far as the bulk of the story is heavy with tension brutality cruelty and fierce survival. Then the final chapters give way to a chocolate box sweetness - so that you’re left wondering if this could possibly be written by the same author!! It’s deeply disconcerting and I felt profoundly cheated (by both books) watching all the loose strings be gathered up to form an almost absurd bow. But those final chapters aside, this is a ripping tale that would easily have been taken from actual crimes against Jews in Hitlers murderous reign. Beautifully narrated and for the most part absolutely riveting. As most authors would acknowledge: finishing a book well will make it or break it. 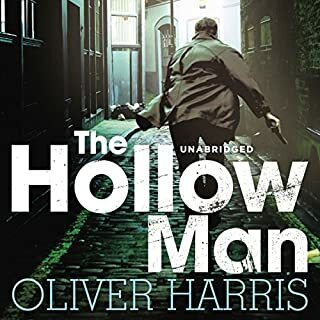 This well-researched and entertaining audiobook looks at the role of forensic investigators in solving dozens of fascinating crimes and mysteries. Liz Porter's riveting case book shows how forensic investigators - including pathologists, chemists, entomologists, DNA specialists, and document examiners - have used their expertise in dozens of fascinating crimes and mysteries. Stories of Australian crime and the forensics that became their star witnesses. 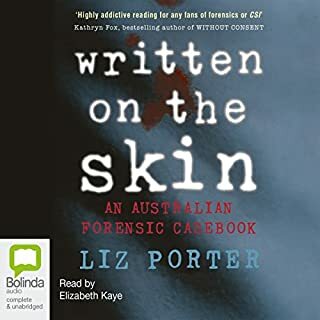 This is a fantastic collection of forensics stories by Australia’s very own Liz Porter. She writes with the perfect mixture of forensic expertise and human heart to give each story perfect nuance. I learnt so much about technique and also the methodical never say die brains of our place force and investigation crew. A riveting true story and tribute to the men and women who never gave up. Some people strive to make a difference. 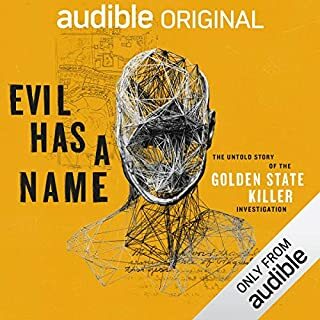 This is a story of dogged commitment in revealing the identity of one of the most evil psychopaths in our lifetime, and the courageous victims who bravely retell of their ordeals. All of the people in this story are big hearted wonderful human beings - a perfect example of how good can triumph over evil. 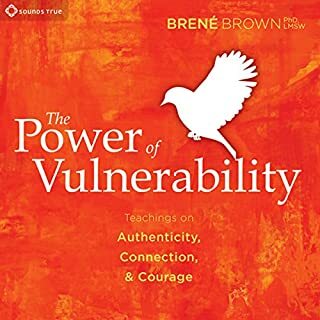 This audio book is unforgettable and brilliant! The FLOTUS who hated politics! This was softer than I expected. 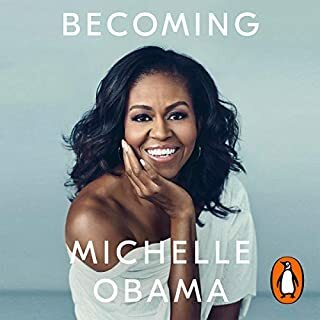 Michelle's vulnerability is disarming, and her unqualified commitment to her children and marriage over the usual grab at power and position was surprising. Politics has not poisoned this intelligent articulate woman. Her heart and soul remain true to her beliefs and I kept expecting harder hitting punches aimed at Republicans and the media - but she never stoops to their level. The time spent showing us a more intimate side to Barack is terrific - just wish there was more of it. It was enlightening and I'm glad I read it - just feel there was something missing. And I'm yet to figure out what that is! She's a classy woman with integrity in spades. It's hard to believe Jane Harper is a Brit! She captures the very essence of outback Australia and the unspoken understanding amongst the hardy individuals who survive and thrive there. 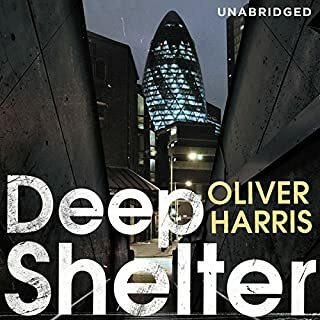 With superb narration from Steve Shanahan, the story brings the reader into the lives of a family with dark secrets and deep regret. Hindsight is as rare as water and forgiveness can take a lifetime. Feel the heat and thirst and the vulnerability in the rawness of their existence. 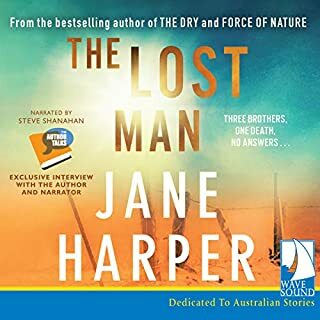 It's a cracker of a novel and there's a bonus interview with Jane and Steve at the end - an Australian story to relish, and hopefully to be followed up with a sequel! So smart and gripping and delicious at every point. And Toby Longworth takes it to a whole other level with his superb narration. What a gorgeous voice this man has. Can’t wait for the next book! A big lush story that never slowed in pace, Oliver Harris’s work is sharp smart and fearless. It takes a lot of skill to develop a character that defies likability from page 1 to an antihero you’re rooting for by the last 2 heart thumping chapters. Dark humour, visceral tension and complexity throughout made this an absolute winner! Kudos to Toby Longworth for a brilliant narration. 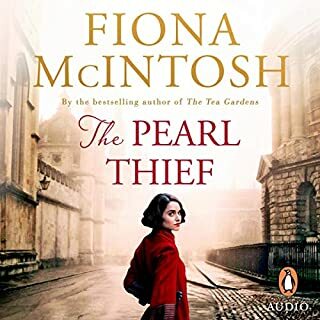 What a delicious voice and excellent delivery brings to this already outstanding book is something you’ll have to hear to believe. I simply can’t wait to get stuck into book 2!!! Perhaps the most important nonfiction book ever. I laughed, cried and nodded in approval. I felt exposed and raw. Enough lights went off in my head that I could have illuminated a small city. I think I’ll be rereading this book for a long time in an effort to sort out the baggage I now can label. This is not your average self help book. This is the most heartachingly wonderful eye opener you’ll ever experience. This is about as close to perfection as you’ll get. Leigh Sales is one of those individuals who manages to tell a story with all the eloquence of a first class journo, but with all the compassion and heartfelt truth of your most trusted best friend. It’s hard not to weep along with her very vulnerable and open accounts of the stories she’s researched for Any Ordinary Day. 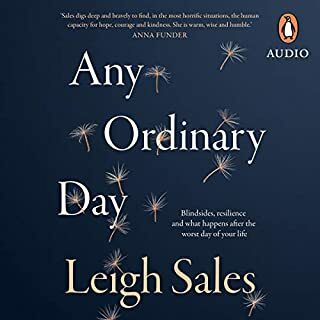 Because Leigh has struck up genuine bonds with her subjects the stories are raw and magnificent tributes to the human condition at it’s very best when faced with the very worst. I’m in awe of Leigh Sales for her generosity in the telling of these stories, and also her own. She’s a writer of immense talent but also a person of incredible character strength and warmth. How lucky Australia is to have Leigh Sales.